A traditional Australian favourite, the sponge cake evokes fond memories of afternoon teas, and weekend family get togethers. Many a birthday sponge has been shared amongst my family over the years, its the preferred choice. Many of the popular cooking shows on television have made a point of highlighting the complexities of making a good sponge. Claiming that it's quite an art and that one must be careful not to over mix the batter or risk ending up with something not dissimilar to a cement brick. 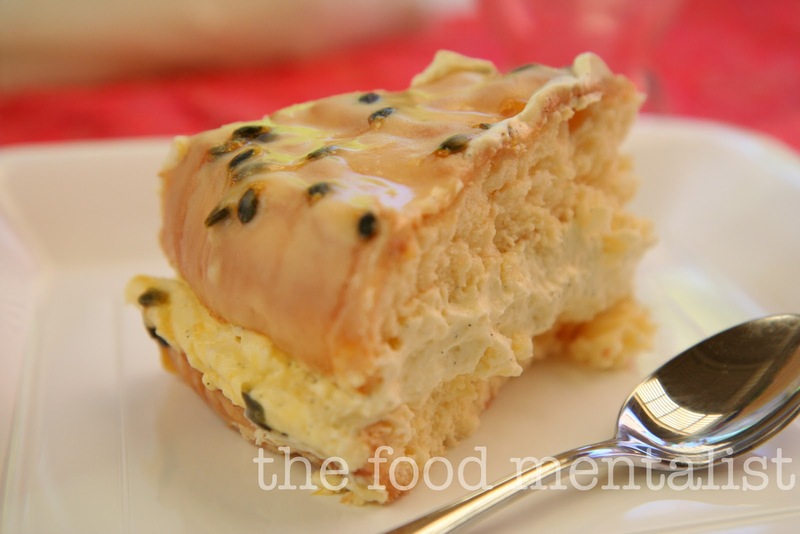 My Nan made them for years - the kind of cake where you can't stop yourself as you push your spoon through the layers of sweet sticky passionfruit icing, light fluffy sponge and luscious fresh cream filling. The kind of cake where you look down at your plate and realise you have literally inhaled your piece, and you stare lovingly at the remaining cake wondering if you can in fact successfully divert the attention of others whilst you sneak in a another piece. Stealth is paramount! I decided to accept the challenge posed by the sponge and try my luck. I had the perfect occasion, a family lunch was planned and wanting to impress my sponge-loving family I didn't ask Nan for a recipe, I wanted it to be a surprise. I scoured the Internet and found several similar recipes with the occasional odd variant. I took a risk and chose a few bits and pieces from several sponge recipes. The result: my family said they loved it. Success. My Aunt Kim actually asked me to make it again for her birthday later this year. So I guess, it worked. The sponge cake is an interesting entity when you really think about it and people can be very particular about how they like it. Often my Mother's family debate about whether a sponge should include a smear of strawberry or raspberry jam with the cream filling and whether the cream should be sweetened. These debates continue. Despite these important questions, one thing remains constant : The Passionfruit Icing! 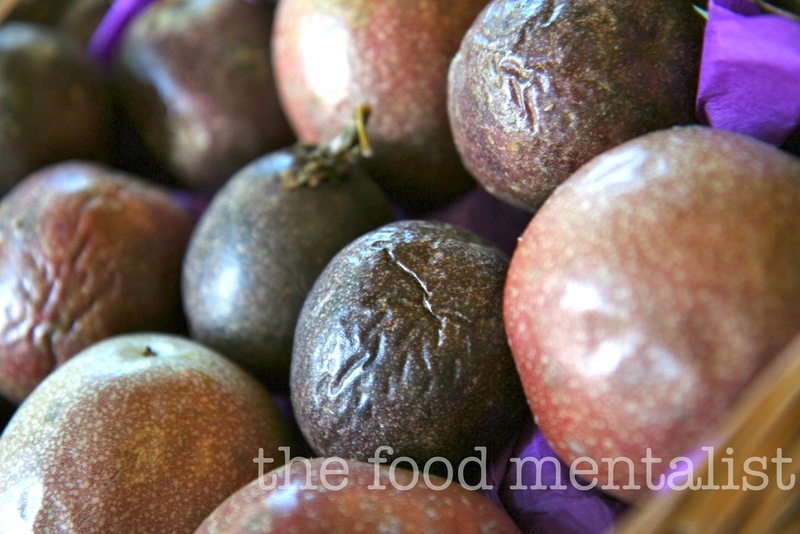 Not only are passionfruit delicious, but they actually contain a plethora of vitamins, antioxidants and flavonoids. Some of which include: Vitamin A, B6, C, riboflavin, iron, niacin, folate, phosphorus, copper and potassium. Several studies including a 2009 study published in the Journal of Experimental Biology & Medicine suggest that passionfruit helps reduce anxiety due to certain group of compounds called C-glytcosylflavonoids. We are lucky here in Australia because passionfruit grows all year round in Queensland, which ensures a steady supply. I have always thought that to choose a ripe passionfruit I had to pick one that was wrinkled, however this is not the case. The best way is to choose fruit that feels heavy for it's size. As for the best way to store them - well that's easy - room temperature for 2 weeks or up to a month in the fridge. Perfect. Preheat oven to 200'C and grease two 20cm sponge tins. Line the bases and sides of the tins with baking paper making sure the paper extends approximately 6-8 cm high all the way around each tin. Separate the eggs and beat whites with an electric mixer until stiff peaks form. Gradually add sugar, beating on medium speed. Add egg yolks, one at a time and mix on low speed. Sift cornflour, SR flour and baking powder into a bowl. Repeat 3-4 times. Fold egg mixture into flour mixture in two batches, using a spatula. Be careful not to over mix. Divide the mixture between the two sponge tins and bake in oven for 20 minutes or until golden and well risen. Make sure you don't open the oven at all during this time. To test, press sponge lightly with your finger and if it springs back it is ready. Remove from oven and cool on a cake rack for several minutes then gently turn out of tins, peel off the baking paper and allow to cool. When completely cool, fill the sponge with whipped cream to which you added the vanilla bean seeds. 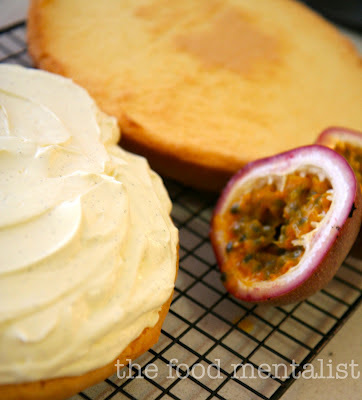 Make icing by combining the passionfruit pulp and icing sugar and spread over the top of the sponge. What food does your family often debate over? I've often thought about trying a sponge, just for the challenge of it, but there are so many other things I like baking that I haven't gotten around to it yet. I am yet to tackle a sponge. I have always been too afraid! Yours looks great. Your fam sounds like mine when it comes to recipes! Ooh this sounds wonderful. I wish I had read this sooner. A friend sent me some passion fruit that she grows at home, I would have loved to make this icing to put on a cake. I remember to do this next time. Nice one Erin! Love it. 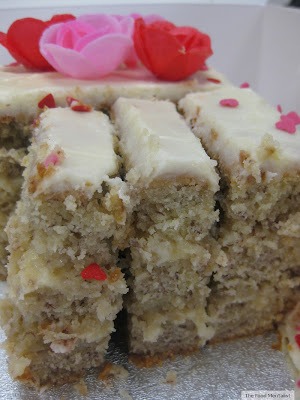 I have a great sponge cake recipe with passionfruit icing too... will compare notes one day! Your nan must have loved this! Oh yum !! I find when I don't overbeat and mix the wet and then the dry and then the wet, it turns out okay. I have a gazillion passionfruit growing down the fence and I've made passionfruit curd and drizzled it and made sorbet - but this cake is calling me! What a great idea. seriously this has to be one of the best things in life. i make a ginger fluff sponge from a passed down recipe, it is perfect. Oh, that looks amazing! 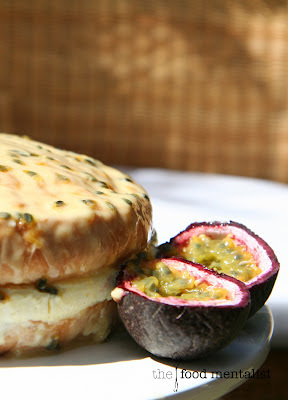 I love passionfruit in baked goods. Tasty! One of my absolutely favourite cakes. Just love a good passionfruit cream sponge.